Here it is at last! 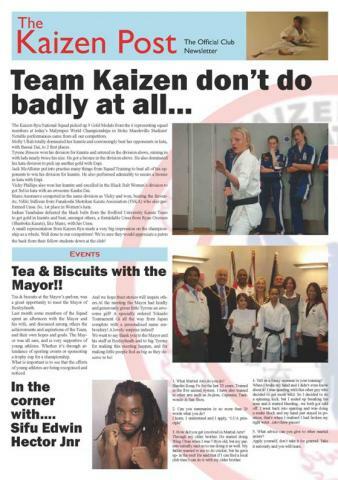 Keep up to date with the latest news at Kaizen Ryu. Something to read in your spare time or even at times when you don't have as much time to browse the internet, just click and download! We want to say thank you to all the people who contibuted to the newsletter. If anyone have any ideas to go on the next issue, then please feel free to e-mail us! Download option for the Newsletter is at the bottom of this page.